I’m Krissy Moore and I’ve just joined the Northumberland National Park Authority as the Community Archaeologist. I’ve come a long way to get to Northumberland, I grew up in Alice Springs, in the Northern Territory, and studied archaeology at the Australian National University. After graduating in 2007, I worked in Aboriginal archaeological and cultural heritage management in New South Wales, I would go on surveys with local Aboriginal community representatives, and record their cultural insights along with any archaeological sites we might discover. In 2010, I took the opportunity to go on a two-year working holiday in the UK, and did as much archaeology work and volunteering as I could. I feel really passionate about archaeology and I applied to the University of Sheffield to undertake an MA in Landscape Archaeology, which I completed this September. I’m really excited to be starting with the National Park, and among other exciting projects part of my work will be to set up a new Young Archaeologists Club branch and working with the Altogether Archaeology project as well as supporting community archaeology groups and promoting the involvement of young people with archaeology and heritage in the National Park. This entry was posted in E Newsletter and tagged Northumberland National Park on December 15, 2013 by cbanorth. The material displayed at the museum in Chesters, Northumberland was mainly collected by John Clayton between 1840 and 1890. He excavated at Chesters and at many other sites along Hadrian’s Wall, often buying land to save the Wall to advance its study. The collection ranges from inscriptions to dress accessories, jet items to weaponry and pottery to keys, including objects of stone, metal, bone, glass and ceramic. The current museum inventory has over 13, 000 records. I am currently working part time on a PhD to look at this material. Clayton worked long before the advent of detailed contextual recording and mapping. Some of the records that he did produce have since been lost. This makes a detailed contextual analysis of artefacts within the collection difficult but it is still possible to learn a great deal from what survives. Methods of analysis and profiling, not to mention typologies, have been developed for various classes of artefacts, and these can be employed for the Clayton Collection. Case studies will be carried out on certain parts of the collection to look in further detail. These will include militaria, brooches, ironwork and the material from Chesters alone. My first chapter has analysed the militaria– the small finds associated with the military. This has thrown up many issues in the definition of what is a military object. For example, cart fittings and harness could equally be used by civilians as by soldiers. However some items are simpler to assign to the military sphere and I will discuss two of these briefly. The Clayton Collection has thirteen crossbow brooches, of which eight are from Chesters. Now whilst this may not seem a huge number, six of these are of the ‘developed’ later type and South Shields is the only other Hadrian’s Wall site with more (nine). Crossbow brooches were worn as markers of status by military and official personnel, does the higher number at Chesters reflect the status of the soldiers stationed there perhaps? Chesters also has an unusually high number of spear heads, 62 in fact. Compare this to the total of the Museum of Antiquities Collection (as was) of 18, and South Shields which has only four. The unit based at Chesters for most of its use was the Ala II Asturia, a Spanish Cavalry unit. Although spears (of some form) were used by infantry, cavalrymen had a long spear (contus) as well as at least two javelins held in a quiver on their back. The high number of spear heads from Chesters could well indicate the frequent use of spears by the cavalry. I am only half way through my PhD and so have much more to discover about the collection, but even with just this one case study I hope I have demonstrated the value of analysing these older collections. Frances McIntosh. 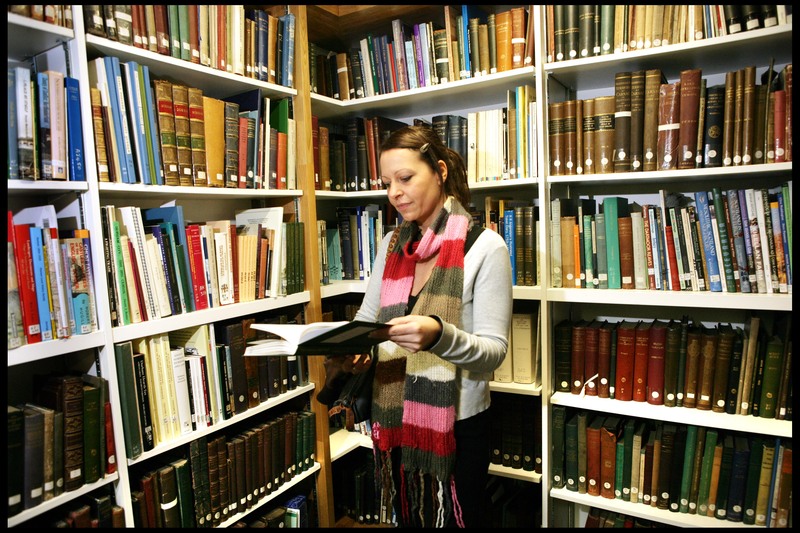 PhD student at Newcastle University and Curator of Roman Collections, English Heritage. To view a report on this project click here: CBA The Roman Temples Project. To view a report on this project click here: Bronze Age combat CBA north. To view a report on this project click here: CBA_North_NielsDabaut. This entry was posted in E Newsletter and tagged Chesters, Maryport, Newcastle University on December 15, 2013 by cbanorth. This entry was posted in E Newsletter and tagged Gateshead Local History Society on December 15, 2013 by cbanorth. The Great North Museum: Hancock Library provides a rich and diverse collection of archaeological material for anyone interested in this subject who is based in the North East of England. The Library is open to anyone and is free to use on a reference basis. It is located on the second floor of the Great North Museum: Hancock and is open Monday – Friday from 10.00 – 4.00 in University term time, and from 1.00 – 4.00 during the vacations. The subjects covered include local history, archaeology and architecture. Incorporated within this is material on Roman Britain and the Roman frontier in the North East, the history and archaeology of Hadrian’s Wall and Greek and Roman coinage. The collection also includes a full set of both the Society’s Proceedings and Archaeologia Aeliana, it’s learned journal. These periodicals contain a wealth of articles and information on the history and archaeology of the northern region. Newcastle University’s Cowen Library which is the collection of the School of History, Classics and and Archaeology is also located in the Great North Museum: Hancock Library. The Cowen Library includes 7300 books and 200 journal titles with the earliest book in the collection being published in 1709. The subjects covered include archaeology, ancient history and classics, Roman Britain, including social and military history. Local archaeology, archaeological methodology, the history and archaeology of the Mediterranean and the Byzantine Empire are also available. If you haven’t already visited us we’d be delighted to see you and help you with any queries that you have. This entry was posted in E Newsletter and tagged Great North Museum on December 15, 2013 by cbanorth. The project aims to coproduce a tool kit and management guide that will enable experts and non-experts alike to monitor the condition of open-air rock art or rock carvings, and implement simple management techniques to aid with their long term preservation. The guide is being developed in light of our on-going scientific analysis of the causes of rock art decay. Our initial results suggest that the rate of decay of rock art has increased rapidly over the last several decades. This work may also be applicable to other open-air natural stone monuments in your area, so all contributions are welcome, even if as yet there is no known rock art in your region. Both the toolkit and management guide are being coproduced with heritage professionals (like yourselves), end users (land owners, farmers etc. ), rock art enthusiasts and non-experts (volunteers) in order to ensure they are practical, usable and straightforward. With a successful adoption the data will be collected from rock art sites across the UK by a wide variety of people including landowners and the public. We are going to focus our efforts particularly on this collaboration over the next six months with regular updates and information. Please join the discussion! 1. Do you currently provide any guidance to managers/owners of open-air rock art? Or have suggestions on guidance, such as a “dos and don’ts” list? 2. Is there any feedback you would give on the toolkit and management guide outline? 3. Would your organisation, or the HER if you are a Local Government Archaeology Officer, be the best people to store the toolkit data? If no, who would you suggest as an alternate keeper of this information? 4. How do you think you would use and distribute the final resources when they are released in January 2014? Please respond to these at the above URL. are greatly appreciated and necessary for the success of this project. This entry was posted in E Newsletter and tagged Newcastle University, Rock art on December 15, 2013 by cbanorth. The Discovering Derventio community archaeology project. – Look for evidence of river crossing point, bath house, extent of civilian occupation, cemetery and road network. Achieved through geophysical survey (proven to be an appropriate technique in 2010) and targeted community excavation. – To display the project results and a selection of artefacts in the town of Cockermouth. – Contribute to the archaeological knowledge by linking to the North West Research Framework, which indicates a need for further research into the development of civilian settlements (vici) associated with Roman forts. – Build upon the opportunity presented by the initial post-flood archaeological discoveries to engage all ages and elements of the community in archaeological research. This entry was posted in E Newsletter and tagged Discovering Derventio on December 15, 2013 by cbanorth.